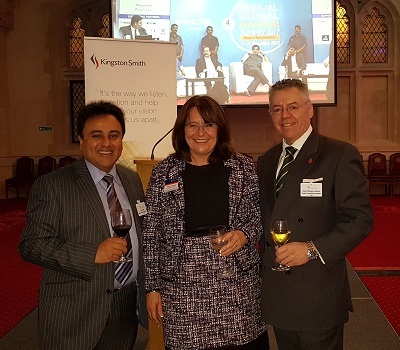 David Stringer-Lamarre, MD of FortisCL was pleased to attend a Diwali Celebration within the historic Guildhall in the City of London. The event was hosted by Kingston Smith who have strong working connections with India. The welcome speech was delivered by Maureen Penfold, Managing Partner, Kingston Smith. The Rt Hon the Lord Mayor of London Charles Bowman described the strong connections between the City of London, the UK and India. He also spoke about his recent visit to India. The evening provided an excellent opportunity to discuss UK India trade relations.